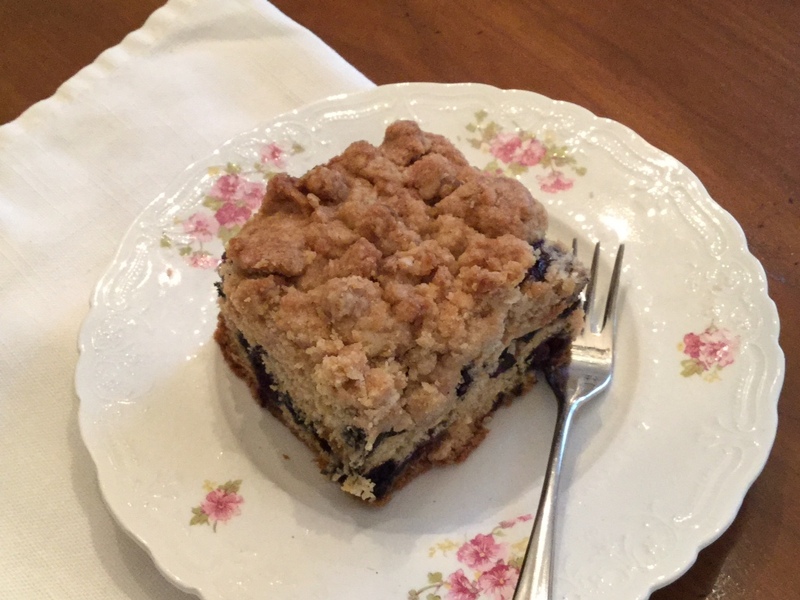 For Goodness Sake, It’s 13 Degrees Blueberry Crumb Cake | I Am Not A Restaurant! I'm trying to save the last piece of blueberry crumb for my air warrior, but it's tough. This time, I got it perfect and I'm a harsh baking critic. The recipe calls for 45-50 minutes baking. If it feels a little soft @ 45, leave it in for 5 more. Mine took 50 exactly. Also, here is the secret for GREAT crumbs. MELT the butter, then combine with the rest of the ingredients (brown sugar etc). Let it set in fridge 15-20 minutes, then crumble across the cake, varying the size of crumbs. You'll see. Click here for the recipe. Jan9January 9, 2015 • By Betsy Karetnick • This entry was posted in Dessert, Dish of the Day and tagged Betsy Karetnick, crumb cake, Martha Stewart Living. Bookmark the permalink.